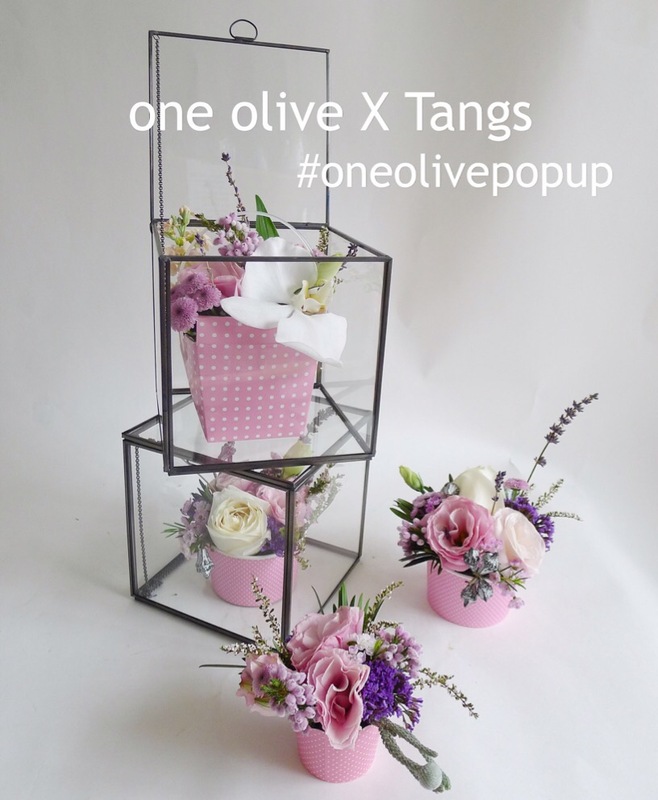 This is our second collaboration of pop up with a local departmental store, TANGS. 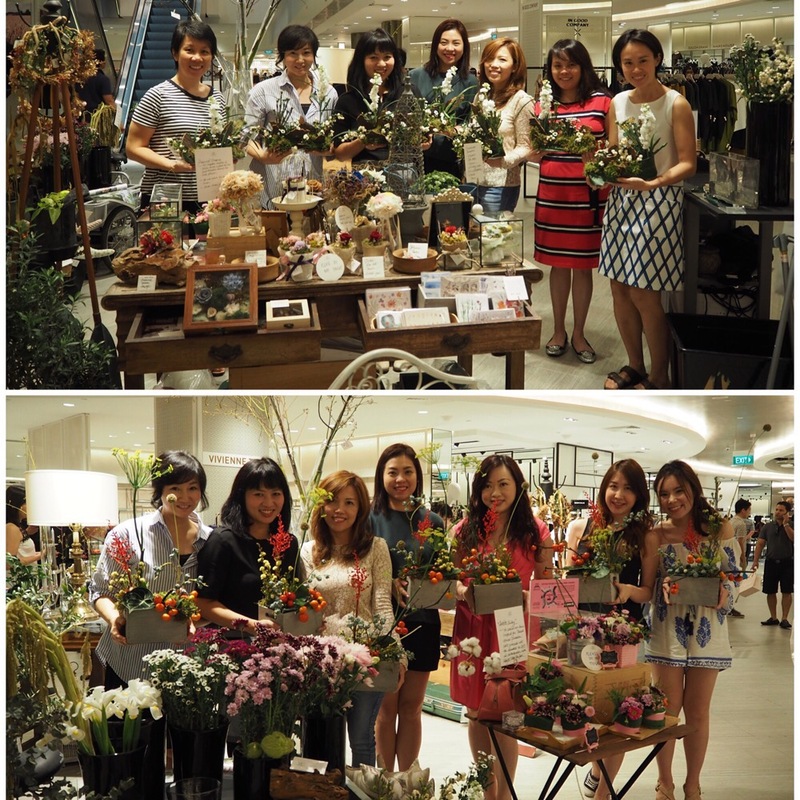 It is rather exciting when it comes to showcasing your work and style to a totally different group of clienteles. Somehow, there’s a certain expectation we want to keep to, and your head go rantling on and on with “that’s your branch store and we have to be very careful about…”! 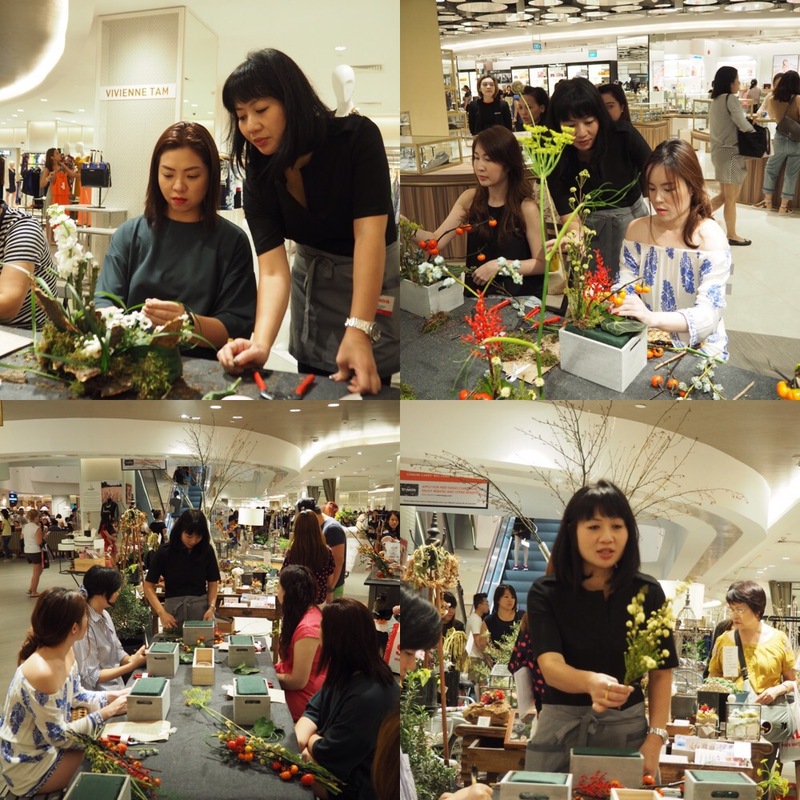 Every pop up, we love curating unique pieces and series of mini floral workshops to showcase our brand and passionate style. 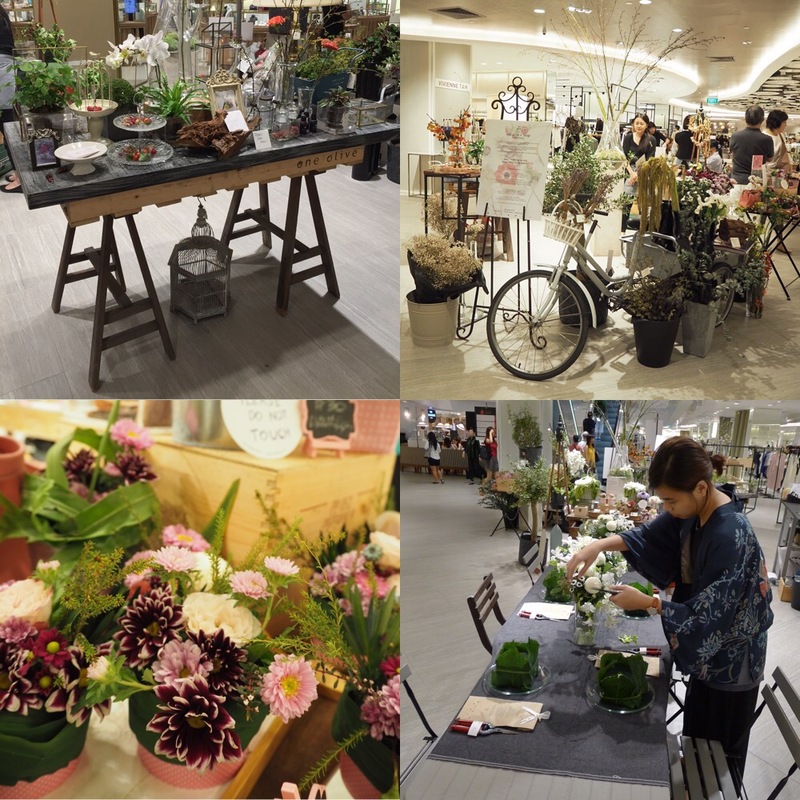 Products like self watering potted plants, preserved flower boxettes, mini flower pochettes, mini cupcake flowers and decoratives. Having this pop up from 1-20 October is a much more meaningful one as compared to the usual ones. 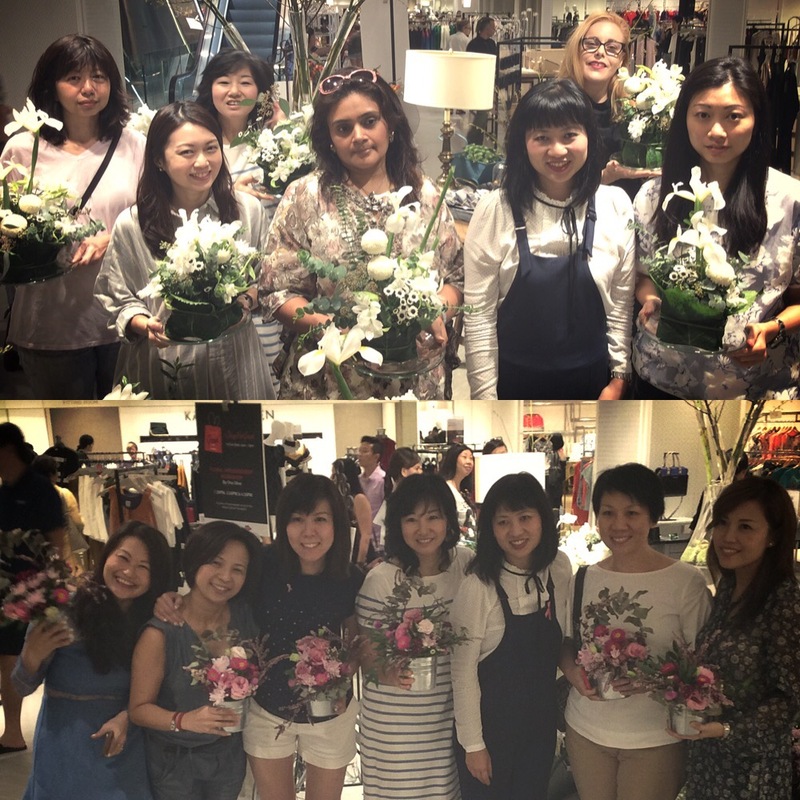 Here, at Tangs; we will work on charity proceeds that will be donated to the Breast Cancer Foundation which is in collaboration with Tang’s SHOP FOR GOOD campaign. And with that in mind, we came out with a series “pink ” theme of flowers on a little pink muffin holder and pink noodle boxes with pink floral arrangements. It was absolutely a GO PINK affair! 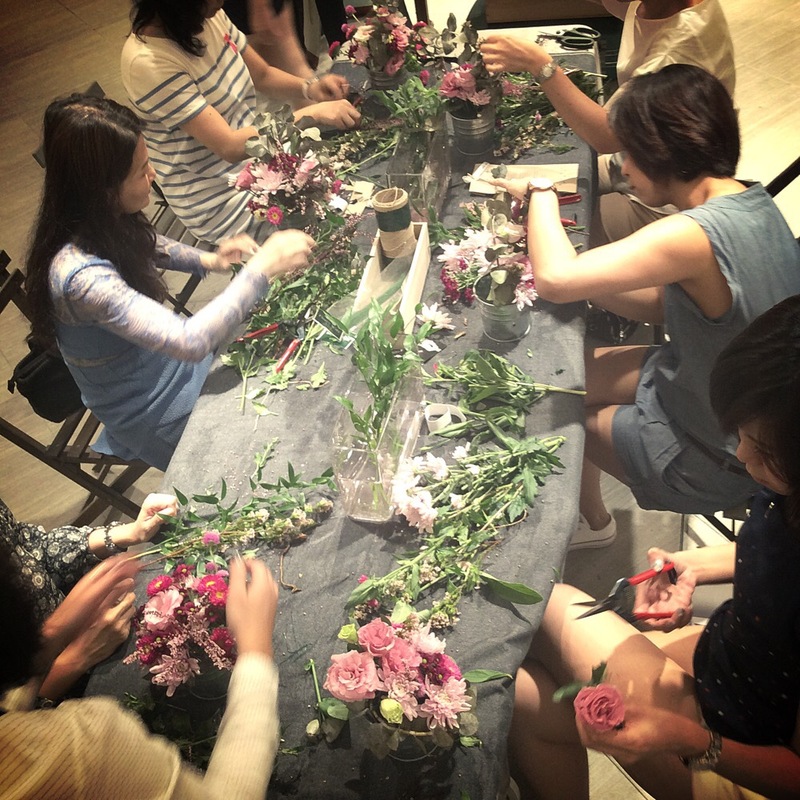 Series of floral workshops are so fun and engaging. 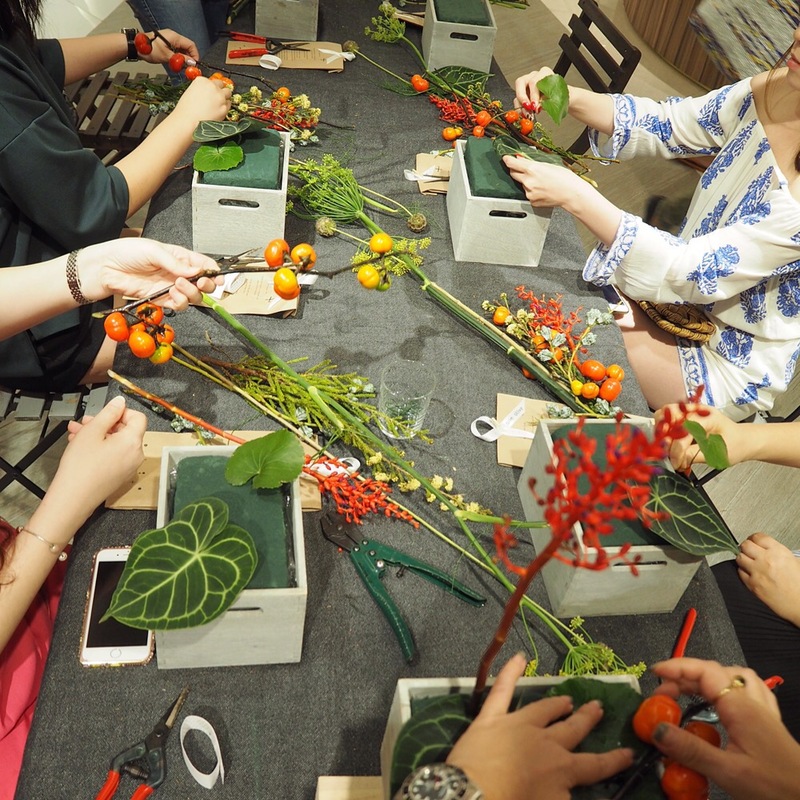 Having the weekend noons filled with interactive and artsy classes does make life much more fulfilling. 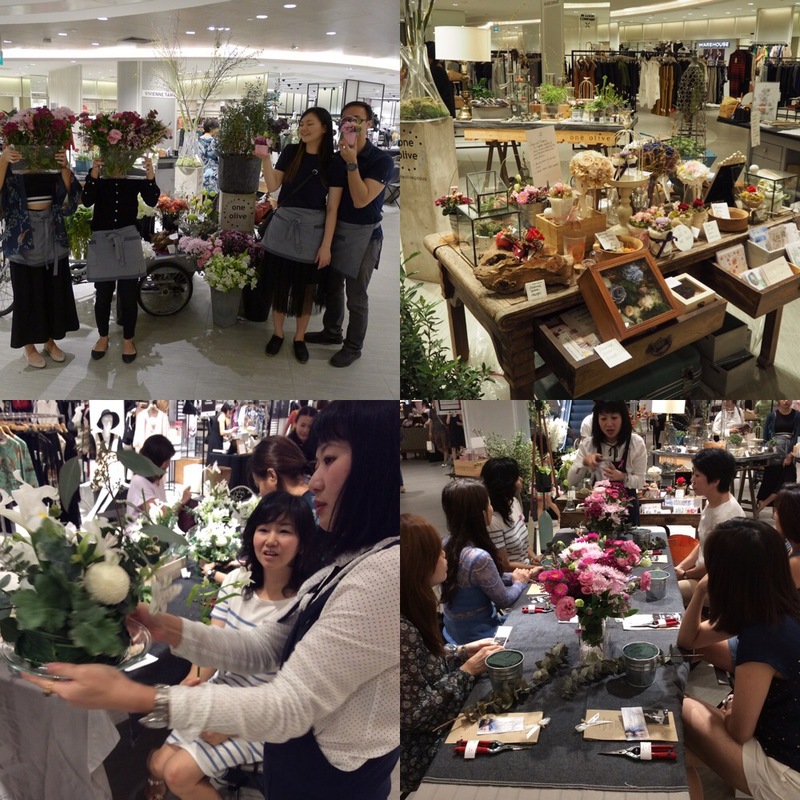 Another fun part for me, is to design interesting and new themed workshops that are unconventional! Lovely Saturday noons span over two weeks, is definitely worth spending time creating, crafting and creative learning. Had a fabulous time with all the ladies of the four workshops that I have taught. Again, it may be tiring; but the best part is getting ourselves engaged with people and sharing our knowledge and ideas. Slow process of understanding and appreciating the existence of flowers and foliage. Where we can equate with the art of slow living. That’s what pop up is all about, at least for my sense of definition. Pop with passion, ideas and style! Till then, next popping up!